Hot tub and swim spa dealers will have the opportunity to gain marketing tips and analysis strategies from Doric Marketing chief Dorian Davies during the Hot Tub Living Expo at the Birmingham NEC next week. During his second appearance as an exhibitor at the two-day hot tub and swim spa showcase, running on October 24 and 25 in Hall 11 of the NEC, wet leisure marketing guru Dorian will be highlighting ways retailers can implement a successful marketing strategy to help improve their engagement with existing customers and promote their products to prospective consumers during two seminar sessions. 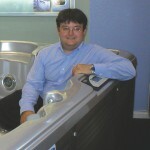 Organisers of the Hot Tub Living Expo have invited industry experts to take part in the free seminar schedule and Dorian, pictured, will be running the first of his ‘How to put a marketing strategy together, and why have one’ seminars at 3pm on Monday, and is going to be repeating it at 1pm for the Tuesday visitors to the exhibition that has attracted leading hot tub and swim spa brands. As part of the seminar that is set to cover various elements of a planning and implementing a marketing strategy, Dorian will provide tips on ‘Goal Setting’; ‘How to put a marketing strategy together’; ‘Identifying target consumers’; ‘Overview of different ways to reach target consumers’; and ‘Integrating different types of reach’. The Doric Marketing seminars will also highlight the ‘Importance of follow-up’; ‘Measuring results’, and ‘Analysing to hone strategy (i.e. rinse & repeat)’. The seminar and appearance as an exhibitor follows Doric Marketing’s occupation of an exhibition stand area at the early 2016 UK Pool & Spa Expo event last year. 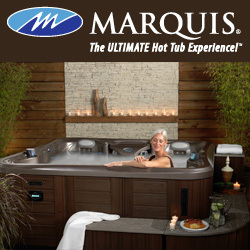 Dorian is now keen to build on the previous success at the event, which has since been renamed as the Hot Tub Living Expo, to promote modern marketing strategies that can be linked to innovative CRM technology and advanced software tools. “During the third instalment of the UK Pool & Spa Expo we gained a tremendous amount of positive feedback from trade visitors to our stand who wanted to find out about ways they could embrace modern marketing strategies,” said Dorian. “Now Doric Marketing we will be using this appearance as an exhibitor to highlight positive action that hot tub and swim spa dealers can take to target consumers and analyse their results effectively. For further information about how Doric Marketing’s proven advanced methods can improve business profitability and enhance your customer relationships visit Dorian on the Doric Marketing stand at the Hot Tub Living Expo, which will be open to trade visitors from 10am to 5pm on Monday, following the VIP Evening on Sunday, October 23, from 5pm to 8pm. Commencing at 10am, the exhibition will have a 4pm finish on Tuesday.